Developing communities are a true artist’s dream. They are a blank canvas upon which creativity can be carved from nothing. The essence of public art especially fosters creativity in ways other art forms do not. Digital design, sculpture, and architecture can all create the groundwork for a community thriving in culture. However, planning and investment of creative resources must be utilized carefully to create public art that has meaning and impact. Public art, simply put, is architecture, murals, sculpture, or digital designs that are created in the public domain. They are accessible to all and are used to create beauty and culture within an otherwise purely pragmatic space. Public art has been an important part of community development since the early 20th century. It can encourage collaboration and community involvement that provides a sense of pride to area residents. Public art can include city sculpture, architecture, wall art, and other mediums accessible by the public. Traditionally, public art has included sculpture, murals, ecological design, and occasionally digital displays. However, in the digital age we are seeing an influx of interactive public art designed for user interaction, or experiential design. This trend is slowly but surely gaining traction in areas where community development takes on an innovative approach. Public art can contribute to culture and residential satisfaction, however in most community development projects, it is taken very lightly. Oftentimes the limited budget for public art is taken from the same budget that provides for affordable housing or roadway improvements. When residents see an eyesore art piece coupled with potholes and underdeveloped residential areas, public art can quickly turn into the lowest priority for community members. Developing communities have the opportunity to make public art more than an afterthought. Many developers don’t pay attention to the inclusion of public art, but it can make an impact on community areas if done correctly. An art piece that has cultural meaning, modern relevance, and interactive elements will be cherished by residents and worth the time and investment. Instead of going the traditional route, many developers are leaning towards digital, interactive public art to include in their community projects. Experiential designs and digital media displays are modern, unique, and engage community members to give them experiences, not just stagnant aesthetics. Creations of installation art, interactive architecture, interactive film, and interactive storytelling through digital landscapes all offer communities more to experience and enjoy. An interactive public art piece where residents can make memories, tell their own stories, and unleash creativity adds exponentially more value than a static piece commissioned by one local artist. With experiential design, community members become the creators. When this happens, public art matters. 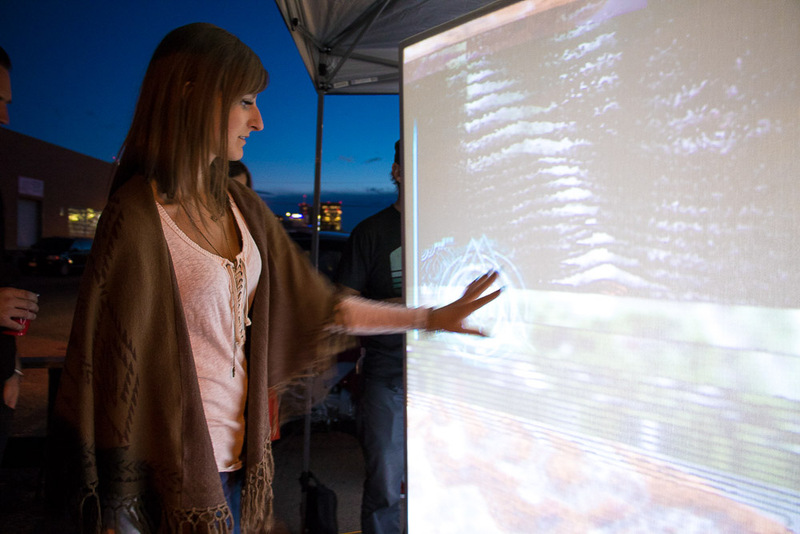 These digital interactive pieces can transform an area into a more modern community. It attracts community members to otherwise declining economic areas, offering a springboard of inspiration to make more out of a community development project. For examples of experiential design in community development projects and other public spaces, check out some of AltEthos’ current and past projects. AltEthos works with community developers, landscape designers, and local artists to bring visions into interactive experience landscapes that can transform communities. Change the way people see, feel, and live in your community by adding real value in the form of public art. The change starts now with AltEthos.